I popped into Vintage Sonoma unannounced to do a visit with Julie Slaton’s client. Upon arrival they were in the lobby enjoying popcorn and having a great conversation. Julie was dressed in her Hired Hands Scrub and Badge. She interacted with the staff and client with great professionalism! 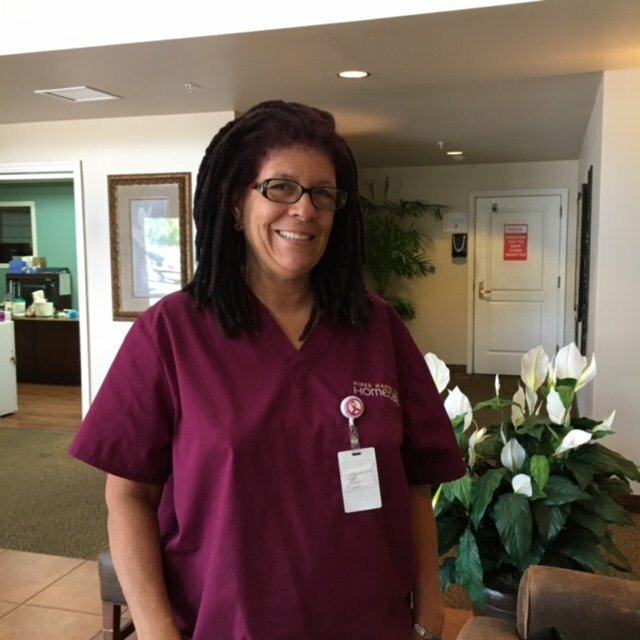 The Staff at Vintage Sonoma appreciate Julie’s attentiveness and professional appearance. She is always on time and keeps her client entertained and calm while in the lobby with other residents. They brought us on board to assist client for safety because she has tried multiple times to leave the building. Julie has been successful at keeping client in the building and participating in facility activities. Julie, THANKS for Shining like a Star!